Every now and then I like to throw some odd bits and pieces together for you. Here you go. You might say that I'm risk averse, and I am. But mostly I just like to do things where it doesn't matter if you make a mistake. That's why I'm not a dancer because if you make a mistake as a dancer you fall over. These are the best shows from the olden days for kids: The Muppets, Space Ghost, Electric Company, Sesame Street, Looney Tunes, Schoolhouse Rock, Little House on the Prairie, and Danger Mouse. If I had to choose only one of those, I would choose Danger Mouse. I'm sure there are more. I would rather have you not read my blog than have you just skim it. Christian has a bag for his laptop which was made for women and is called the "Christina Bagilera." Wallace Stegner once said, "Any life will provide the material for writing, if it is attended to." Easy for Wallace Stegner to say. All my favorite radio voices have speech impediments. A few years ago we stopped over night in Las Vegas on our way to Disneyland. In the morning we decided that Christian would pick up breakfast for us while I stayed in the hotel room with the kids. Sam made the case for this arrangement: "Dad should go to protect Mom from the harsh casino world." There was a kid on This American Life (the TV show) who was afraid to ever love because he wanted to spare himself the pain of losing love. In the end he said, "If I could find a portal into another world then it might be worth it." I often wonder about that kid. I love this quote from Brigham Young about Joseph Smith, "I knew Joseph was a human being and subject to err, still it was none of my business to look after his faults. . . He was called of God; God dictated him, and if he had a mind to leave him to himself and let him commit an error, that was no buisness of mine. . . He was God's servant, and not mine." Except the only thing is that I really do consider it my business to look after people's faults. I just really like doing that. In the summer we used to cut off our pants to make shorts. I even had cut-off polyester pants. One summer I went to visit my dad in South Carolina. I wore my cut-off shorts the first couple of days. On the third day I brought out a pair of "real" shorts--hot pink overall shorts made by Calabash. They were cute. In fact, they were my best outfit. My stepmother gushed over them but I didn't take it as a compliment. I took it as an insult to my cut-off polysters. Whenever a woman describes herself as a "_______ girl," (for example, "Water-only girl, sunshine girl, high heels girl, organic girl, etc.) it always means that she thinks she is better than you. What is it that draws hoarders to downtown Provo? I like it when Hispanics call all diapers "Pampers." It sounds cool. I wish I couldn't sleep with dishes in the sink. But I can. And I do. Ben told the other kids that when I was young people used to drink water out of rivers. Now that the 80s are back in style, will that also mean the return of the lavish banquet upheaval which was so popular in John Hughes movies and INXS videos? I wonder. Have you noticed that Paul Mitchell looks exactly like one of the villains in Superman who gets put into the glass triangle? No one ever mentions it--it's a huge elephant in the room, IMHO. Another thing that is cool and that I always like is when people--an alliance--stand back to back in a circle to defend themselves. Unfortunately, with kids it is not the thought that counts. You actually have to do stuff. Maybe these odds and ends sound more like tweets, texts, or status updates. I don't know. What can I say? I'm just a blog girl! How lame is it that I feel cool having read a Wallace Stegnar novel, and you mentioned him in your post? It's very lame, but I'm kind of insecure about not being literary enough. Congrats btw on the Studio 5 mention. You are for sure my favorite. Loved those old tv shows you mentioned. Space Ghost was the funniest thing ever. Oh my gosh, I laughed so hard at this. The last line? Classic! We are "featured" together at blogger and I'm so glad cause your blog is magical and hilarious. Thanks for you sunshine and you odds and ends. He DOES look like General Zod! Michael Shannon will be playing Zod in the new Superman. I don't really know him from anything, but he looks like the sort of actor you'd have a fascination about. You know, in a Paul Bettany sort of way. Did I cut off pants into shorts? I know I cut sheets into Princess Leia dresses. I'm a chia girl. This was great fun. And I promise I read every word--no skimming at all. I love random bits that aren't enough for their own post but they still need to be said! If I give her your number, could you please tell my mother-in-law that with kids it's not the thought that counts? You actually have to do things. Especially the ones you've promised. 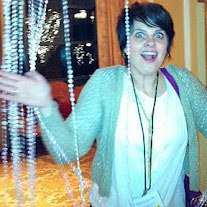 Banquet upheaval was the best part (if I have to choose) of Girls Just Wanna Have Fun. I'm a Utah loving, TV watching, sci-fi obsessed, food eating girl. Does that sound better than you or the same? So you DO think you are better than us, blog girl! Danger Mouse rules. Hazel has followed in my footsteps and gone ahead and fallen in love with him. "Organic girls" are the ones that makes me want hurl my pop tart breakfast, Lynn Wilson lunch and Stauffers' dinner. But since I'm not judgmental at all, you'd never hear me say that...out loud. thanks Kacy. I needed this today. Fantastic! This was perfect for my attention span. Coherency is overrated. There are too many things in this post that I love. Overload. Wallace Stegner had lots of good things to say - but he didn't live up to it all - and that was crushing for me. But his books still make a great read. I'm a I-love-David-Sedaris'-lisp kind of girl. I heard Christina Bagilera used to be a temple bag.